Battle of Uhud (Ghazwa-e-Uhud) was the second major battle fought between Muslims and Quraysh of Makkah in 3 AH (625 AD). 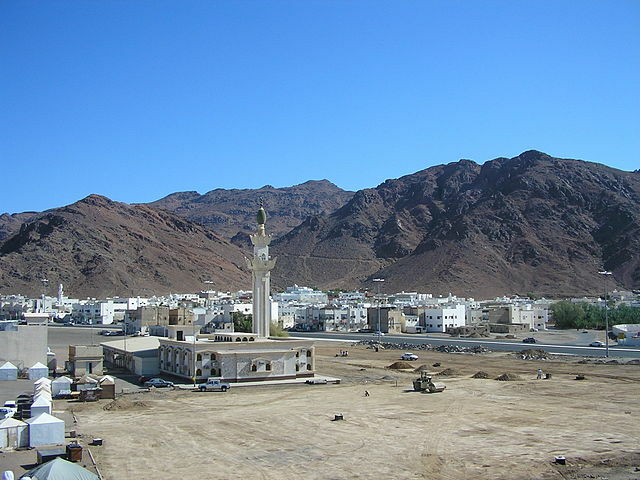 The battle was fought in the valley of Mount Uhud (north of Madinah). Despite initial gains, Muslims suffered heavy casualties during the battle due to indiscipline approach of newly converted young Muslims. But the battle remained indecisive as Quraysh could not destroy the city state of Madinah and the two armies met again in 5 AH for Battle of Trench. Battle of Badr in 2 AH proved disastrous for Quraysh during which they lost 70 men including several tribal chiefs. Now, they were anxious to take revenge of their defeat and reinstate their reputation in Arabia. After defeat at Badr, Jews of Madinah also invited Quraysh for another invasion on Madinah and assured their full support for Quraysh against Muslims despite their treaty with Muslims. It was because Jews were feeling pressure due to gaining of strength by Muslims after their victory at Battle of Badr. Arabian poets and Qurayshi women were making emotional appeals to their men for taking revenge of their dead ones in the Battle of Badr. Three months after Battle of Badr, new Qurayshi leader Abu Sufyan invaded suburbs of Madinah with 200 riders and set fire few homes and palm trees. Muslims chased him but he retreated safely. This event enraged Muslims. Abu Sufyan became the chief of Quraysh after murder of many Qureshi leaders in Battle of Badr. He gathered 3,000 men and went towards Madinah to fight against Muslims in the last dates of Ramadan 3 AH. When Muslim knew about the intentions of Quraysh, Muhammad (PBUH) summoned a meeting to decide about the location of new battles. Muhammad (PBUH) and most of the senior members were of the view that the battle should be fought in Madinah but most of the younger Muslims demanded to fight the battle outside Madinah. Muhammad (PBUH) accepted the view of majority and went towards Uhuh with 1,000 men. Before the start of battle, Abdullah ibn Ubayy (leader of Khazraj tribe) left battlefield with his 300 men over a protest that his view of fighting inside Madinah was not considered. After this incident, number of Muslim warriors reduced to 700 men as compared to 3,000 Makkan fighters. 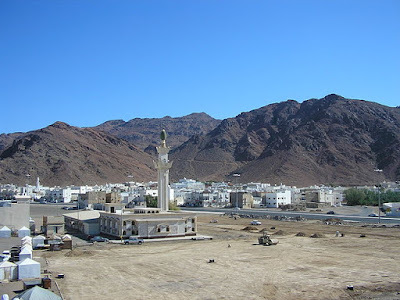 Muslims positioned themselves on the slopes of Mount Uhud which helped them to protect their rear and right side from Makkan cavalry with Mount Uhud. On the left side, there was a hill pass where Muhammad (PBUH) put 50 archers, under command of Abdullah bin Jubair (RA), in order to prevent any Makkan invasion from left flank and strictly ordered them not to leave their positions no matter what happens on the battlefield. These measures were taken to keep the Makkans forces in front of Muslim army which was heavily outnumbered by the Quraysh. From Makkan side, Amr ibn al-As was the commander of cavalry while Khalid ibn al-Walid and Ikrimah ibn abi-Jahl were commanders of right and left flanks respectively. The battle was fought on 3rd Shawwal 3 AH (19th March 625 AD). In the beginning, several Makkan fighters, including standard-bearers, were killed by Muslims in duels. Then the general fight started during which Muslim army pushed the Makkan forces back and then penetrated their lines. At that time, Muslims thought they are closer to another victory after Badr and few of them started looting the spoils of war. Later, they were also joined by most of the archers of mountain pass and only 10 among them remained stationed there. At this moment, Khalid bin Walid (commander of Qurayshi right flank) attacked the Muslim army from behind after getting rid of the remaining archers on the mountain pass. This surprise attack confused the Muslim army and Makkan cavalry from both front and rear side took full advantage of this chaos. Muslims lost dozens of their men and even Muhammad (PBUH) suffered few injuries. At this dangerous time, only few Muslims remained around Muhammad (PBUH) to safeguard him against the attacks of Makkans. Later, Muslims managed to take shelter on the slopes of the mountain which made it difficult for the Makkan cavalry to continue their attacks. After that, Abu Sufyan took his men away while declaring his victory instead of completely defeating the Muslims. Next day, a small Muslim force pursued the Makkans beyond Hamra al-Asad (8 miles from Madinah). At least 70 Muslims were martyred during the battle including Muhammad’s (PBUH) uncle Hamza (RA). Quraysh lost more than 20 men. · The hypocrite Abdullah ibn Ubayy left the Muslim army along his 300 men before the start of the battle which badly affected the Muslims numerically and psychologically. · There were several newly-converted Muslims in the Muslim Army due to which discipline like Battle of Badr could not be maintained. · After initial gains, few Muslims started looting the spoils of war and they were also joined by most of the archers positioned on the mountain pass. Khalid bin Waleed took advantage of the opportunity and attacked the Muslims from behind after crossing the hill pass. It was the main reason for Muslims’ damage. · The false news of Muhammad’s (PBUH) martyrdom also broke the spirits of Muslims. · Battle of Uhud exposed the hypocrites who left the battle without any concrete reason in order to harm Muslims. · The battle also proves the military intelligence of Muhammad (PBUH). When orders of Muhammad (PBUH) were followed initially, Muslims gained the ground despite their weakness on the battlefield but when his orders were ignored by the archers, the Muslims had to suffer heavy losses. · Different Arabian tribes became afraid of Muslims after their victory in Battle of Badr. But after Battle of Uhud, they restarted their anti-Muslim activities. · The Jewish tribe of Banu Nadir was expelled from Madinah after Battle of Badr due to their violation of Charter of Madinah, which forced other Jewish tribes to maintain peace with Muslims. But after Battle of Uhud, the other Jewish tribes also started conspiracies against Muslims.